Who loves COFFEE???? ME! That's who! In celebration of how much I love all things coffee - today I had coffee to the second degree. The left is healthy banana bread in a mug and the right is a Iced Mocha! AHHH! YUM! Then let it sit a minute or so before digging in! Want to put it just over the top? 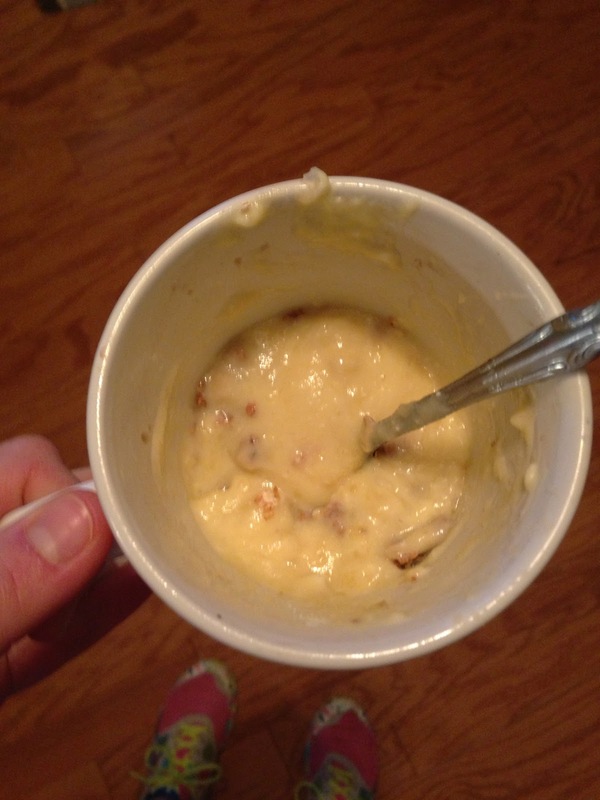 I thought so.... To really hit a home run with this yummy treat do as Kristen does and top it off with 1 TBSP. peanut butter and a small handful of granola. 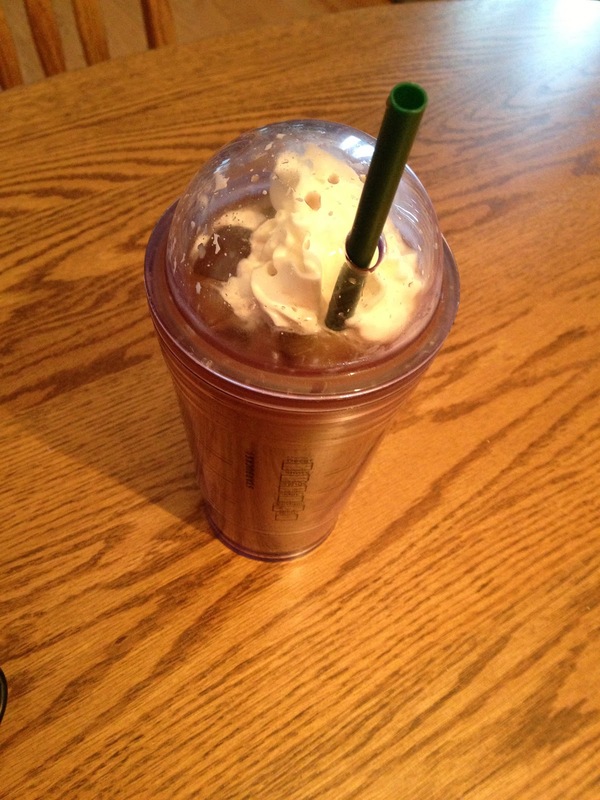 So now for coffee recipe numero dos - Ice Mocha! Who's having an over the top super-deeeee-duper day now? Hopefully all of you! What? Do you love coffee more than I do? Ok, my friend, I might going to have to try this. Frozen coffee, I hate wasting coffee and I usually store them in freezer. thanks for the tip. Maybe we can agree we are obsessed the same amount :) I hate wasting any coffee too- Glad I could help a fellow caffeine addict!